The goal of this project is to develop a method to separate several superposed receptors in the image sequence. Due the diffraction limit of the microscope, when the distance of two spots is smaller than the diffraction limit, they are not resolvable. 2D Gaussian fitting cannot separate several supposed spots in space. So, we develop multiple spatio-temporal Gaussian fitting to separate the supposed spots. This method not only utilizes the spatial information, but also the temporal information. The idea of this method is to create a spatio-temporal Gaussian model and then use this model to fit the input image sequence. 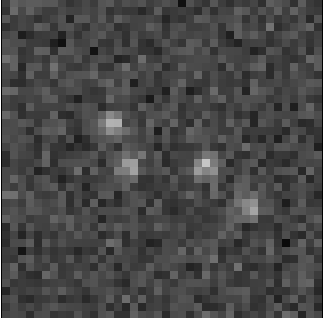 The output results are the localization of the spots and the start frame and the duration.